The Dynasty range will suit any kitchen style, traditional or modern. The solid door construction and chunky controls provide this range with a professional feel. The Dynasty is available in cream, gloss black or stainless steel. The Dynasty range cooker has flame failure devices for safety, triple glazed doors (cool to touch), an electronic programmer, a useful storage drawer and both ovens are A rated for efficiency. Prepare your whole meal at once with LG‘s new gas range. Beautiful design is paired with the optimal cooking performance of the large oven and sealed gas burners that are both easy to use and clean. Cook your whole meal at once with LG’s spacious 5.0 cu.ft. gas range. This model has adequate room for several large items and complements its large capacity with optimal cooking performance. The LG Gas Range comes equipped with a 16.5K BTU high output burner with Super Boil™ setting. This feature is designed to quickly bring larger amounts of liquid to a boil. The warming drawer can be used to keep hot food at serving temperature. With 3 heat settings, you can warm your main course or dessert until you’re ready for them. 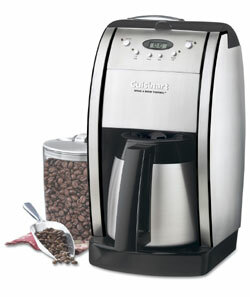 Cuisinart® Grind & Brew Thermal™ Coffeemaker grinds your favorite beans just before brewing. A double-wall, insulated, brushed stainless steel, thermal carafe keeps up to 10 cups of coffee hot for hours. The elegant European design creates the perfect look for today’s gourmet kitchen.It has an elegant Italian styling and o long list of features that will make you fall or this kitchen appliance:automatically grinds whole beans before brewing, 24-hour fully programmable, 10 (5 oz.) cup double-wall insulated thermal carafe,Brew Pause™ feature lets you enjoy a cup before brewing has finished, automatically shuts off when brewing is complete, Grind-off feature, 1 to 4-cup feature, Cord storage, Charcoal water filter (removes impurities), Gold tone commercial-style permanent filter and measuring scoop, Paper basket filter starter kit, and the list can be discovered by you using this coffee maker. Healthy cooking? The water is heated and steam created outside the cavity to give the most nutritional cooking results The steamer preserves intensive, unspoiled natural flavour as food is not immersed in water and does not become bland or overcooked. Miele makes sure, the steamer retains its fresh, natural color, vitamins and minerals. 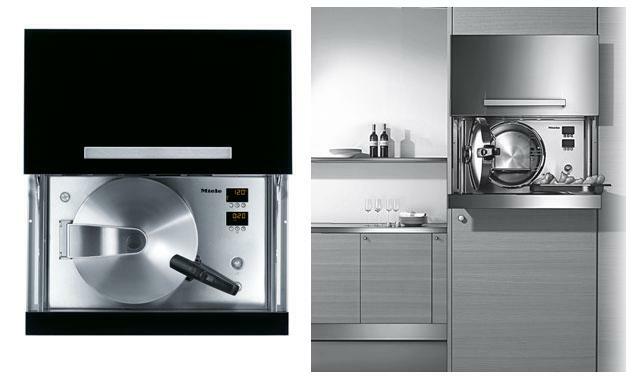 Miele builds first-class kitchen appliances, and this steam oven is attractively designed and performs just perfectly. Features include LED display, electronic dial controls, electronic clock with Delay Start, programmable cooking with automatic switch-off, and fault indicator. Miele offers a steam oven with a capacity of 7.8 litres , three Cooking levels Electronic dial controls and LED display , to make it easier to use, Programmable Cooking with Auto Switch off more then 12 programs for your option Electronic Clock with Delay Start and the Lift-Up Door With Tinted Glazing & Steel Handle gives a flush, concealed look to the steam oven.All from Miele. 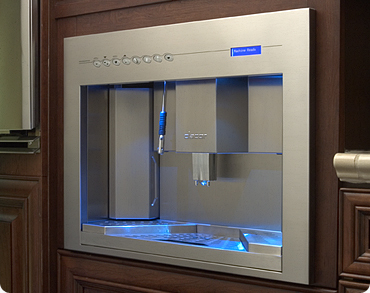 A Dacor Coffee System in your kitchen can do so much more than brew the perfect cup of cappuccino. It can fit seamlessly with other Dacor appliances while standing out beautifully on its own striking good looks. It can be plumbed in directly to a water line to allow for the most automatic brewing performance in the industry. 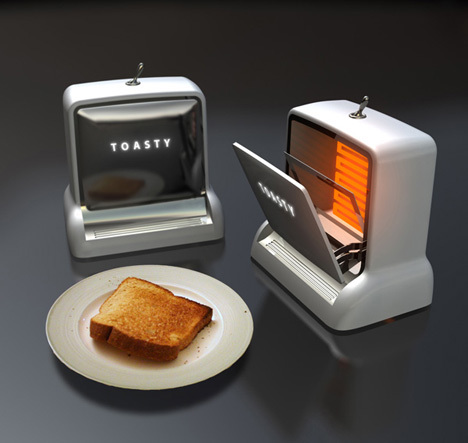 It can steam and froth milk, grind beans and adjust to accommodate cups of every size. And it can surprise, delight and indulge you on a daily basis. With forward design & advanced technology, Dacor brings tomorrow’s thinking to this morning’s coffee. Tank option features a five liter water tank to minimize refills. Completely automated grinding & brewing ensures commercial-grade quality & consistency, cup after cup. Adjustable height dispenser accepts tall mugs. Integrated frothing system with adjustment mechanism steams milk while brewing to save time & effort. And 1-touch cleaning program is fast & efficient! 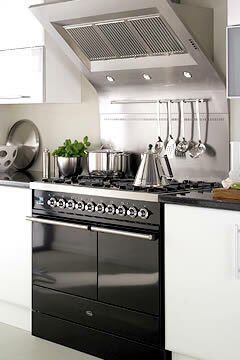 Heartland‘s professional style vent hood offers the ultimate combination of style and efficiency. 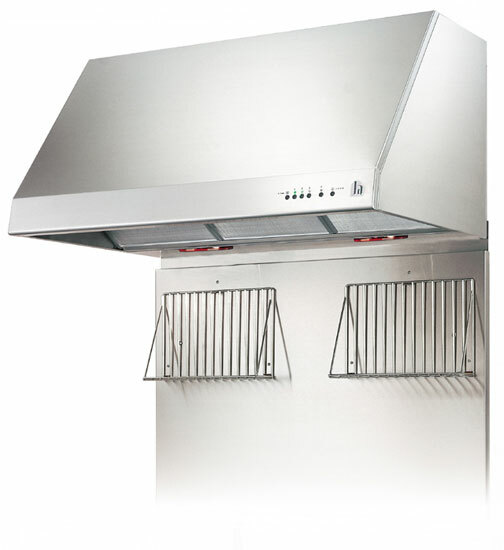 Even though these hoods are powerful enough to clear the kitchen quickly and effectively of heat, grease, steam and odors, they still use 35% less energy than competitive models. Halogen lighting brightens the area and gives you the best view of your cooktop creations. Designed to look great above a De Dietrich stainless steel oven, the electronic display is in line with the range so you can easily see all of the functions offered on the screen . With delicious fresh coffee at the touch of a button, which can be tailor made to suit your individual taste, it is the perfect way to end an evening meal. It has a 3 choice selections: Espresso, regular coffee, tall coffee.Can prepare up to two cups simultaneously.And for a smoother drink it produces steam for Cappuccino and hot water for Tea. Excellence Perfect fit! DWD614X plus a DED400X coffee machine fit in a standard single oven housing. The new coffee machine is a luxury that every kitchen aspires to. 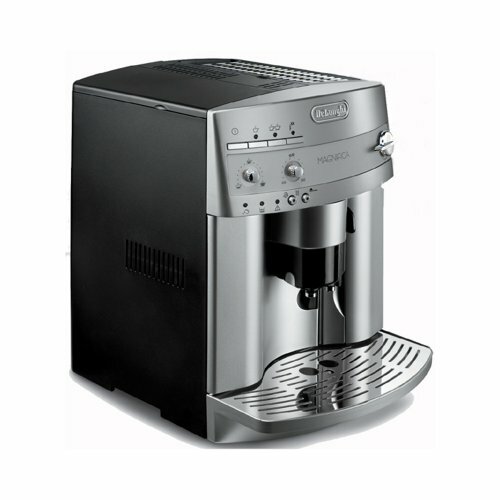 The DeLonghi ESAM3300 Esclusivo Magnifica Super-Automatic Espresso/Coffee Machine is capable of preparing espresso, coffee, cappuccino, latte drinks, and more. This super-automatic machine features a unique beans-to-brew system that grinds coffee beans right before brewing for exceptionally aromatic espresso. 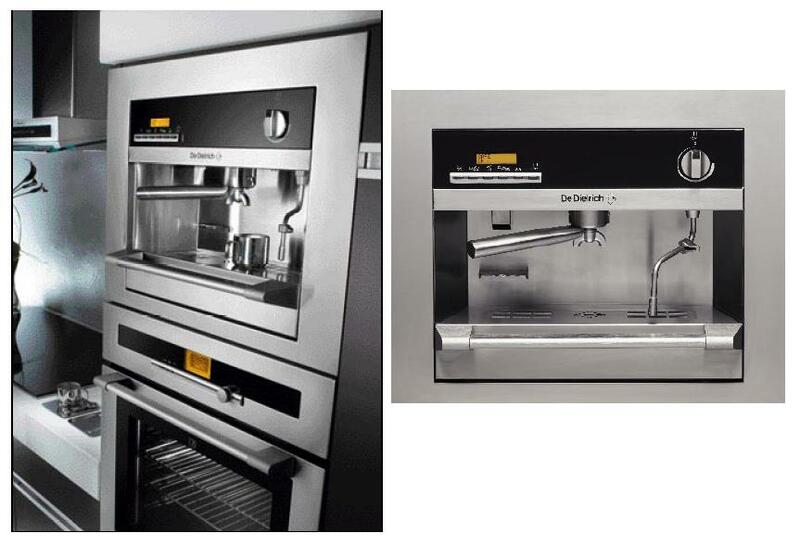 The appliance comes equipped with two stainless-steel boilers that provide excellent heat distribution, as well as an instant reheat function, which keeps the machine at an ideal temperature, no matter how long the interval between cups. In addition, its quiet burr grinder automatically grinds beans and can be set to a specific grinding level, but the unit can also be used with ground coffee if preferred.